A few days after unveiling the Seats of Power+Codex IV Corners, one of the participants mentioned that it gets a little too sunny in the afternoons, and that some sort of shade structure would enhance the project. We were admittedly shy about taking on another 50-foot long shade project suspended above the long bench! I then remembered a temporary art project I helped coordinate in Salem, MA where we suspended over 400 hula-hoops for several months above the Artists’ Row pedestrian way. For Seats of Power, we hope to start with five or six HulaShades and see how they work at actually shading people, and resisting wind, sun, and rain. 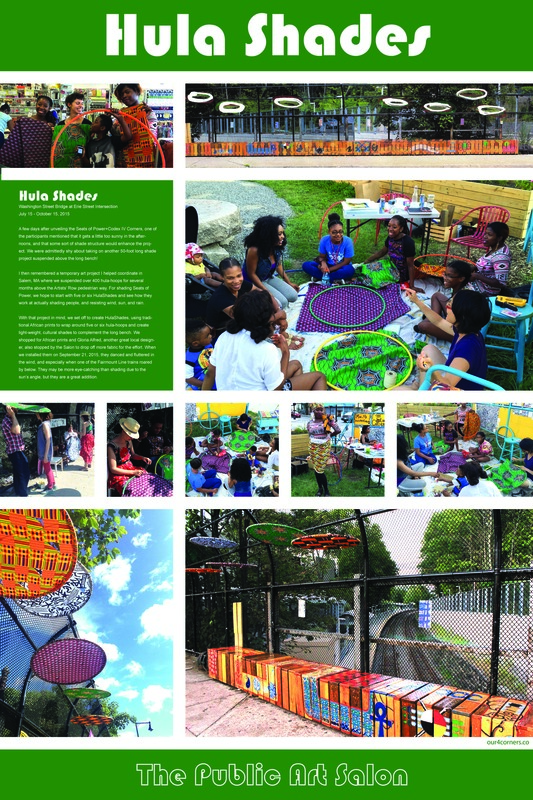 With that project in mind, we set off to create HulaShades, using traditional African prints to wrap around five or six hula-hoops and create light-weight, cultural shades to complement the long bench. We shopped for African prints and Gloria Alfred, another great local designer, also stopped by the Salon to drop off more fabric for the effort. 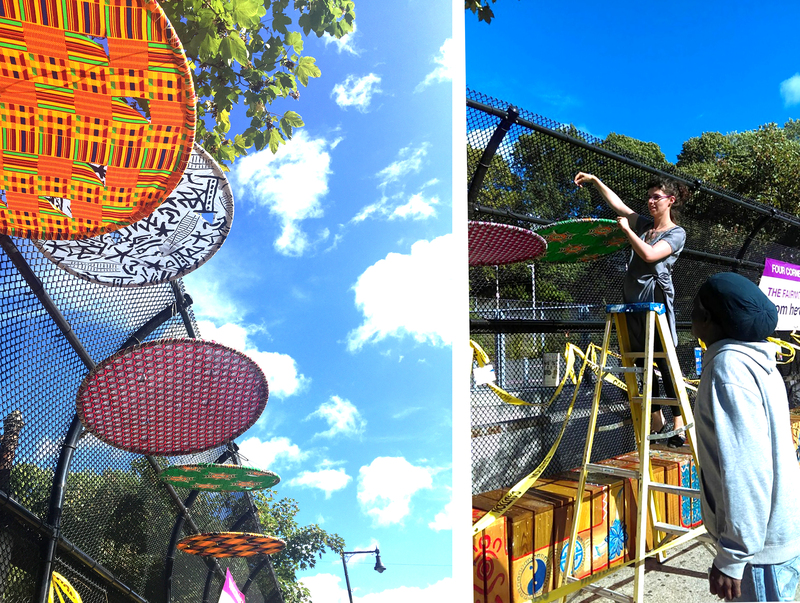 When we installed them on September 21, 2015, they danced and fluttered in the wind, and especially when one of the Fairmount Line trains roared by below. They may be more eye-catching than shading due to the sun’s angle, but they are a great addition.